When At&T, Cisco, GE, IBM and Intel founded the Industrial Internet Consortium in March 2014, I wonder if they had envisioned how quickly the International technology community would embrace the their mission to catalyze and coordinate the priorities and enabling technologies of the Industrial Internet. Many amazing collaborative solutions have already emerged – for example, RTI and Siemens teamed up on a solution to network and control hundreds of wind turbines for better control and optimization, and National Instruments and Airbus have developed tools for smarter factories. 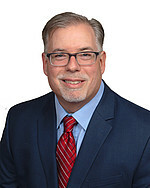 Just take a look at the many case studies published by IIC members in a variety of fields – communications, energy, healthcare, manufacturing, transportation and logistics, and security – and you will gain a sense of the enormous potential for the connected world. Industry collaborations and technology partnerships are the foundation upon which these innovative Industrial Internet systems will be created. Wibu-Systems’ main focus is to provide the protection platform for our partners to secure these next generation systems. For example, as a member of the Infineon Security Partner Network (ISPN), we have worked closely with Infineon and other leading security vendors to secure devices and systems in various applications. 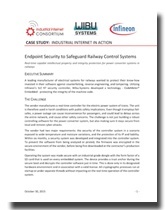 In a recent collaboration, we employed Infineon’s SLE 97 security controller and our CodeMeter Embedded protection to deliver an endpoint security solution to safeguard railway control systems. In this use case, the safety of the application was paramount. Hardware components had to comply with an extended operating temperature range, moisture challenges, and vibrational conditions. The software security elements were tasked to guarantee the highest level of security against cyber threats while protecting IP against reverse engineering and piracy. And, the solution needed to be compatible with the real-time VxWorks operating system already in use. The multiplicity of potential attack vectors called for an endpoint security solution. The CodeMeter-based solution met all these criteria and was then integrated into the existing power-controlling infrastructure. You can read more specific details about the cryptographic elements of the solution, secure boot mechanism and other innovative development and implementation details in this case study.